Our artisan, Giulio, continues the lampwork tradition of his grandmother with this asymmetrical torsade necklace. In his Castella studio, just a short walk from Venice's famed St. Mark's Square, our artisan handcrafts each Murano glass bead, one at a time, over a small flame. Our artisan entwines thousands of royal blue Murano seed beads accented with a stunning gold-infused Murano glass bead. 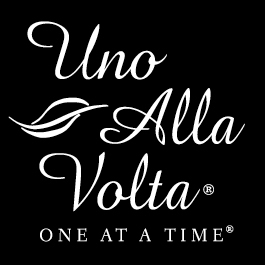 This torsade necklace is masterfully handcrafted exclusively for Uno Alla Volta, from the heart and hands of the artisan. No two are exactly alike. Each necklace measures approx. 22.5in. long, with a lobster clasp and gold-plated findings.